What if you built a website and nobody came to see it? For many individuals and businesses, this is not a “what if.” Instead, it’s an annoying reality. If this describes you, then the answer to your problem may be custom web design. However, many people don’t know much about what custom design is and why it works so well. Keep reading to learn more about how a custom design can transform your website! We’ve prepared a solid guide to the benefits of custom web design. However, we need to first define exactly what “custom web design” means. Most people and businesses build websites with a template or website builder. This has some obvious advantages: it’s cheap, easy, and fast. However, cookie-cutter websites tend to look a bit generic. And once you’ve seen one site using a certain template, you’ve seen them all. Custom web design is truly “custom.” It means that you or a professional have built everything from the ground up. Wondering why you would do this? 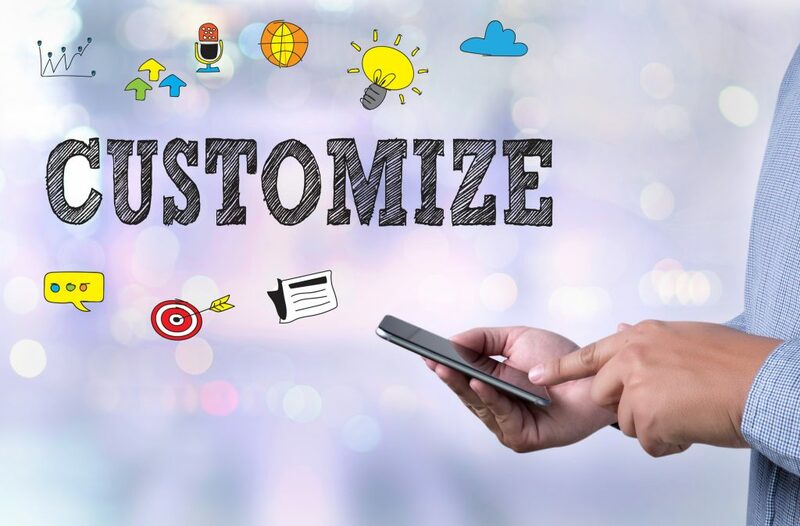 Keep reading to learn more about the awesome custom design benefits! We hinted at this earlier, but let’s just say it: websites built with templates are boring. Imagine if thousands of books had the same cover and the same chapter layout. How many of these books would you want to read? After all, none of them look like they are doing anything new. Web design is like that, too. Sure, you can whip something up in WordPress in minutes. But it’s going to look like something you only spent a few minutes on. With custom web development, you can get a site that has a true “wow” factor. And in a crowded field of competitors who all look the same, your site will truly stand out to your audience. Another problem with using web design templates is finding what is right for you. Some templates are going to have too many images, for instance, and some will have too few. The hard part, then, is finding a template that is “just right” for your particular needs. And many people may never find that template at all! With custom design, you get exactly what you want on every page. Think of this as a time-saver. Why spend weeks or months finding what’s “just right” when you could have someone bring your dream site to life? The best websites don’t just look good. Instead, the best sites are maximized for conversion. This means guiding visitors in a specific way. The ultimate goal is that these visitors will become customers after coming to your site. With cookie-cutter templates, the site is not designed for conversion. That means you may be losing out on potential customers left and right! Custom web development helps you design the entire site with customer conversion in mind. By focusing on user experience, you will end up with a website that is far better than any template. If you use website templates, you may not know much about coding. But trust us: the coding for a website is very important. With templates, you are getting code that has been copied again and again. It may be old and clunky code; in rare cases, it may lead to strange errors that you cannot fix. With custom design, you start fresh with a clean code. Not only does this avoid those problems, but it may help the website load even faster. This is important because load times can really make or break a website. And by reducing load times, you’ll reduce your “bounce rate” and keep more customers on your site for a longer time. What if you build an amazing website and no one can find it? In that case, you probably have bad SEO. Most website builders don’t make it easy to tweak the SEO of your site. And in some cases, the templates may have no SEO support at all. Without good SEO, your website will stay at the bottom of Google’s search results. And that means you may as well be invisible. With custom design, you have full control over the SEO of your site. This can help bring in more traffic, boost conversions, and increase buzz over your company and product. Every small business dreams of no longer being small. In short, these businesses want to grow and expand. As your business grows, you’ll need to expand your website. And if you’ve been using templates, this is where you run into a pretty big problem. Most templates were not built with expansion in mind. So when you end up expanding the site, it looks like a Frankenstein mix of different parts. With a professional design, you can actually go ahead and plan for future sections of your website. And when those sections go live, everything will look and flow very organically. The best thing about using templates is that you can do everything on your own. But what if that ended up being the worst thing as well? If something goes wrong with a template-built website, there is usually no one to turn to. That means you must spend hours Googling solutions and trying to fix the problem yourself. With custom web design, you have most likely hired a professional designer to build everything for you. That means if you encounter any problems, it’s easy to reach out and get them resolved. Honestly, simply having easy access to your designer is a real game-changer. It means you can make immediate patches and additions to your site without having to make your customers wait! Now you know more about custom web design. But do you know who can help you learn even more? At Social Media & SEO, we bring you the very latest tips and tricks to making your website more successful. To see how we can continue your professional transformation, check out our website design articles today!